The Sargasso sea lets go of a lot and it blows in this time of year. Messy stuff but home for an unbelievable amount of exotic creatures. When the Sargassum reaches the beaches it immediately dies and the marine species that use it as protection and a food source expire. That is when we see birds coming down for a feeding frenzy. The combining stench of decomposing sargassuma and marine creatures in it soon become a smelly inconvenience. 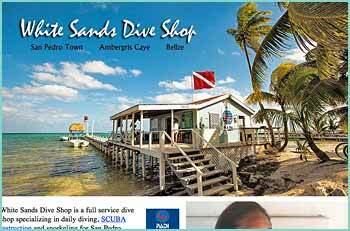 Sargassum provides a home to an amazing variety of marine species. Turtles use sargassum mats as nurseries where hatchlings have food and shelter. 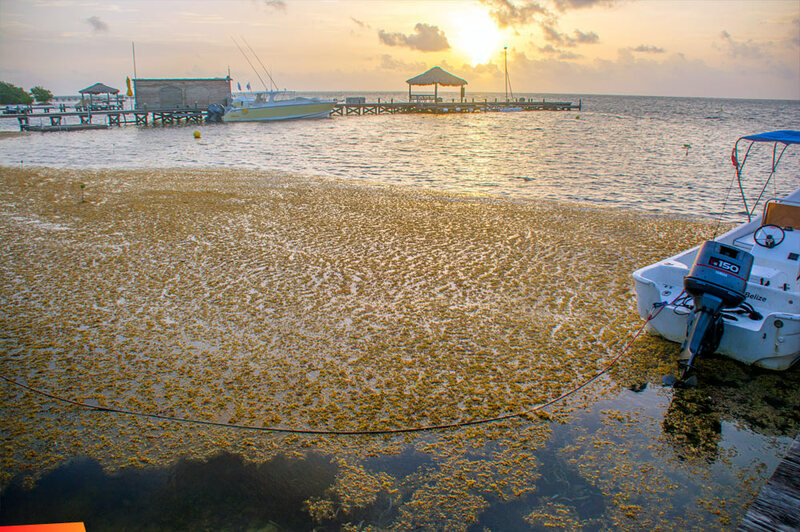 Sargassum also provides essential habitat for marine species,such as shrimp, crab, and fish, that have adapted specifically to this floating algae. 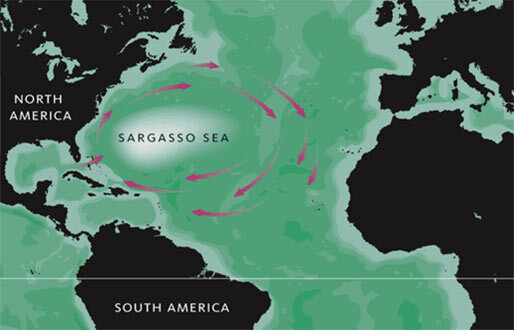 The Sargasso Sea is a spawning site for threatened and endangered eels, as well as white marlin, porbeagle shark, and dolphinfish. Humpback whales annually migrate through the Sargasso Sea. Commercial fish, such as tuna, and birds also migrate through the Sargasso Sea and depend on it for food. So what is causing such major washing up on the beaches? Well, experts believe it has a lot to do with the currents and global warming has been shown to affect seaweed to varying degrees, causing it to bloom bigger in some areas and shrink in others; but it’s not clear what impact, if any, global warming has on the sargassum that’s ended up in the Caribbean and the Gulf Coast. The entire coastline of Belize has been affected by this influx of seaweed and coastlines in the Gulf including Galveston, Texas and the Florida Keys have been reporting large seaweed wash up in their beaches.